*Our NOVALASH Fill In prices can only be applied to customers who had initial NOVALASH set with us. 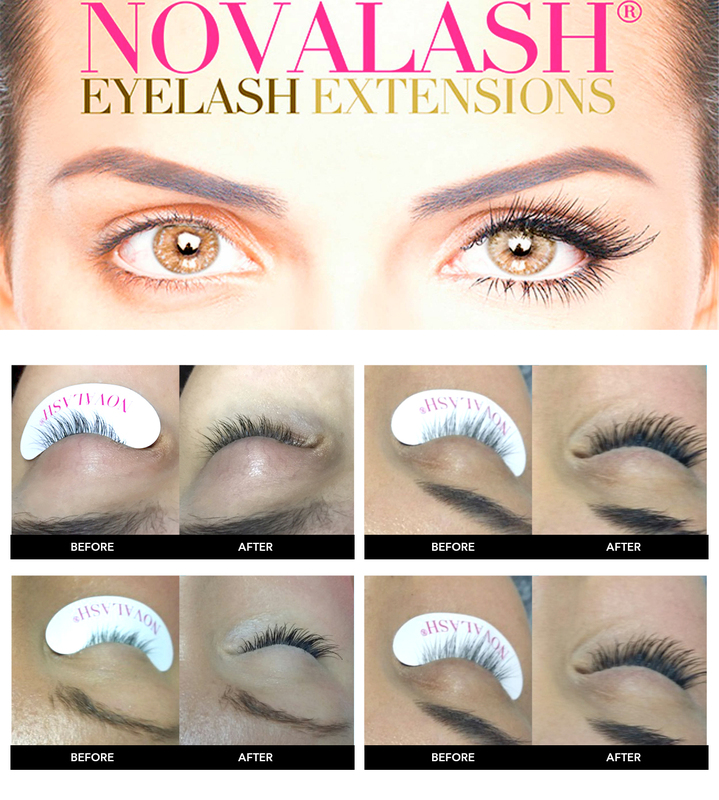 NovaLash® eyelash extensions are an entirely new method of enhancing the length and thickness of eyelashes. Extensions are applied on a lash-by-lash basis for a totally natural look.